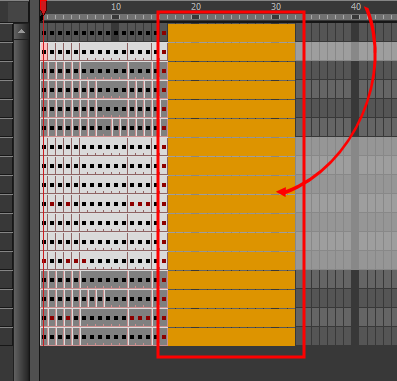 When creating a template from the Timeline view, it will lose the extra connections, effects and groupings from the Node view. In the Library view, select a folder to store the template. By default, a local scene will have a Harmony Premium Library folder, which is stored in your Documents folder. 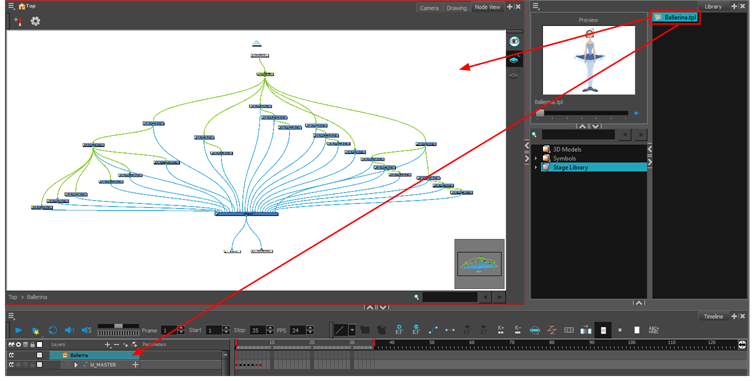 The Timeline view and the Node view display different information about a scene and its structure. 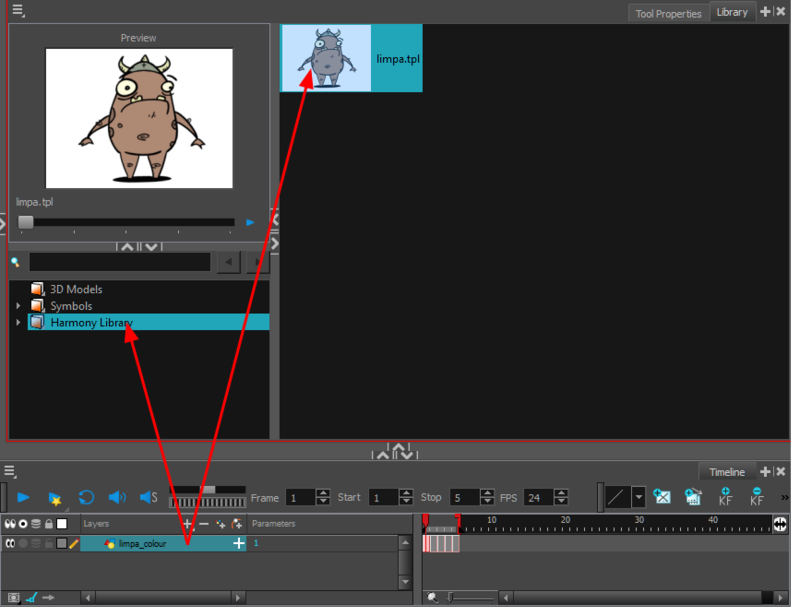 To make sure a character's main template, also called the master template, is rigged exactly the way it was meant to be when it's imported into a scene, it should be created with all the connections, effects, composites, nodes, pegs, groups, drawings, timings, as well as all the other information in the scene it was originally created in. 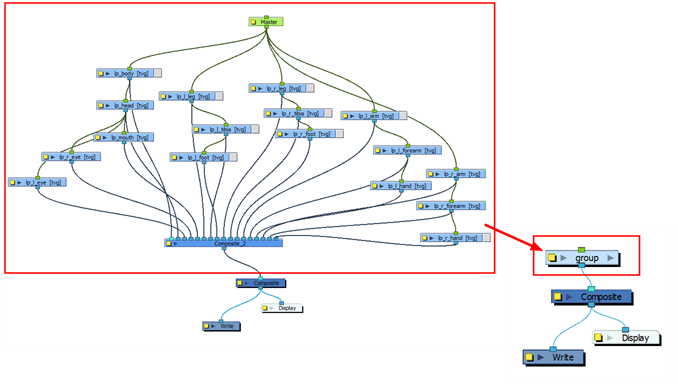 Because the Node view is the most faithful representation of a rig's structure, it is recommended to create master templates from the Node view rather than the Timeline view. In the Library view, select the folder in which you want to store the template. In the Node view, select the nodes for creating the template and group them. It is very important to group your cut-out character rig before storing it in the Library, so your files are organized. From the top menu, select Edit > Group > Group Selected Layers or press Ctrl + G (Windows/Linux) or ⌘ + G (Mac OS X). Make sure you have a composite under the connections before grouping, otherwise there will be numerous connections going outside the group. In the Node view, click on the group node's yellow button to open the Layer Properties window. In the Node view, select the group node and copy and paste it inside the template folder in the Library view or press Ctrl + C and Ctrl + V (Windows/Linux) or ⌘ + C and ⌘ + V (Mac OS X). 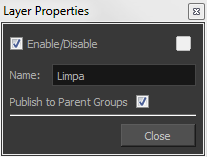 In the Rename dialog box, give the new template a name and click OK.